Mull of Kintyre — you either hate the Paul McCartney folk song, or you’ve never heard of it (in which case you can sample it here.) These may seem strange options for one of the biggest pop hits of all time. I should clarify that “Mull of Kintyre” haters are likely closet fans and self-loathing Brits, while those who’ve never heard it are mainly Americans. Welcome to the world, Beatles! 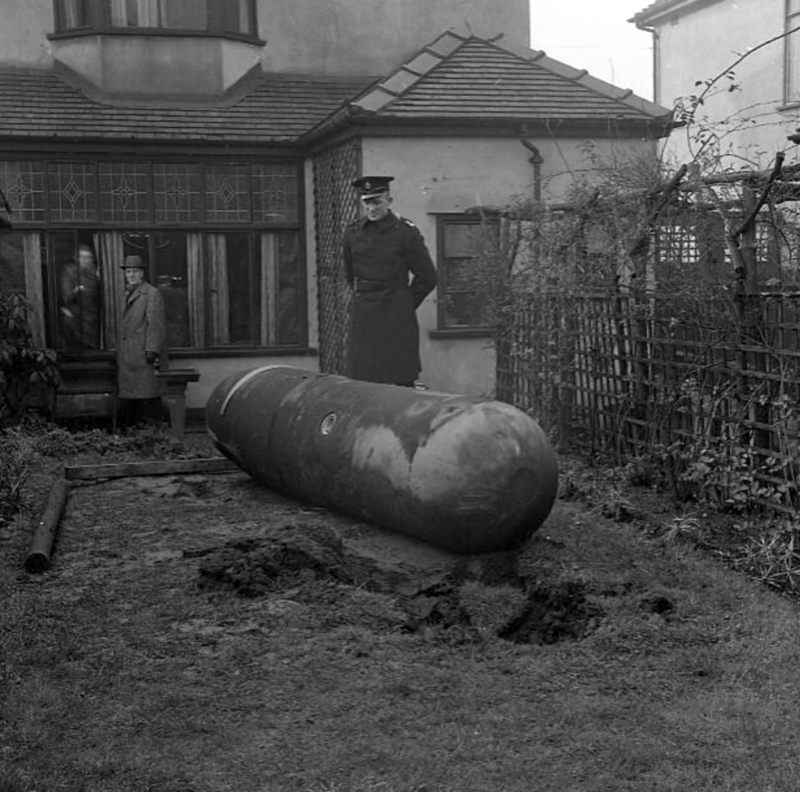 An unexploded bomb in a Liverpool garden, two miles from the home of John Lennon’s Aunt Mimi, November 1940. Courtesy: Merseyside Police. Quick! 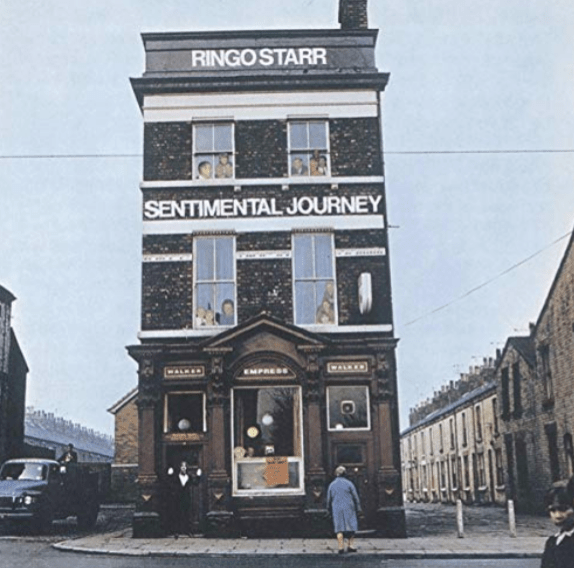 Name the pub on the cover of Ringo Starr’s Sentimental Journey album (at right). 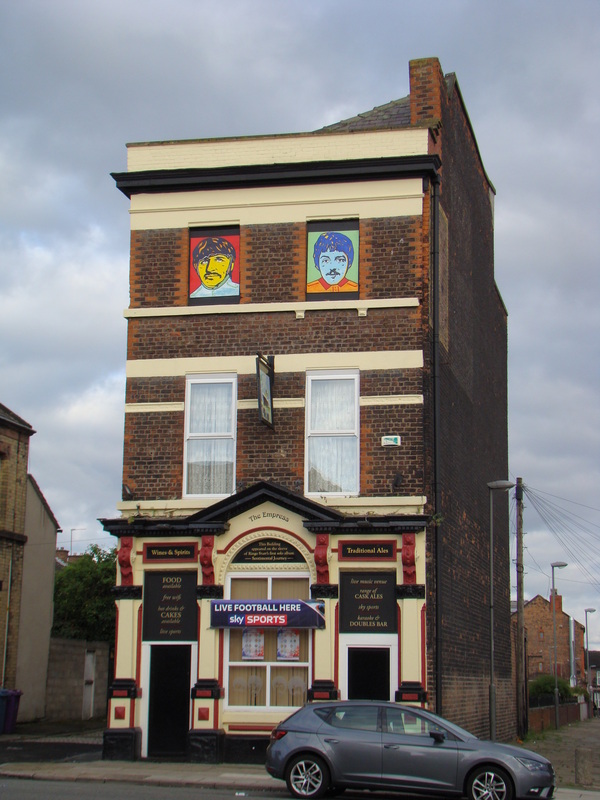 Or, the venue where Ringo played his first official gig with the Beatles. Thanks to a recent trip to Liverpool, I know the answers—although it would have been cheaper to stay home and do an Internet search. 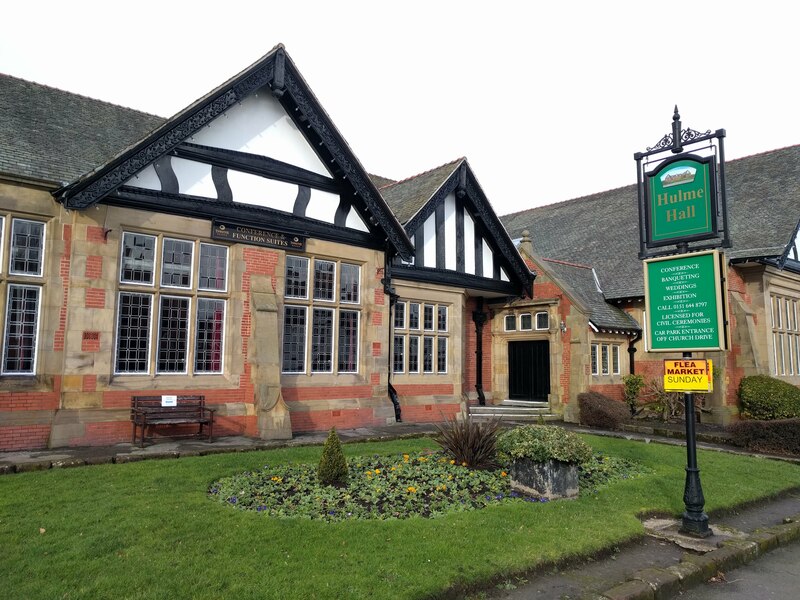 Hulme Hall, at the Port Sunlight model village in Wirral—across the Mersey from Liverpool. Ringo played here with the Beatles on Aug. 18, 1962, two days after Pete Best was fired. It’s not often that Artimus Pyle performs on the West Coast. Based in North Carolina, the former Lynyrd Skynyrd drummer plies a thriving trade along the eastern seaboard with his astonishingly adept and clean-cut band. The last time I saw him play in southern California was in September 2013, and that may well have been his last gig in the state. Until January, 2019, when the Artimus Pyle Band (APB) ventured out West for five shows—a tour opener in Las Vegas, and four in California. Artimus drove his van nonstop from Asheville to California, and back again. Former Lynyrd Skynyrd drummer Artimus Pyle, the “Wild Man of Southern Rock,” is publishing his memoir in early-summer, 2019, through Backbeat Books/Hal Leonard. Street Survivor: Keeping the Beat in Lynyrd Skynyrd will be available in all good book stores, and at Amazon. The book was originally scheduled for publication in October 2017, but it has been delayed pending resolution of unrelated litigation pitting Artimus and Cleopatra Films against Judy Van Zant. … and that Lynyrd Skynyrd had a drummer (two of them). Skynyrd’s Hell House? 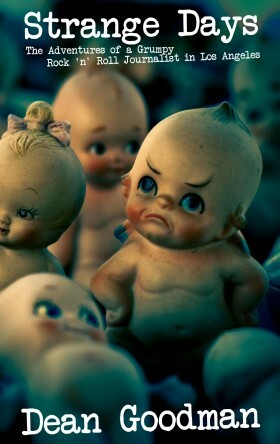 Hell, no! What the hell is that mountain range doing in a Florida swamp? Check out two screenshots. The band’s practice shack, the Hell House, is shown above with a mountain range in the background. In fact, the Hell House was located near an alligator-infested swamp in Green Cove Springs, Florida, the flattest state in the USA. In Cameron’s world, Skynyrd must have been a West Coast act. Step right up! Buy a lot on the site of Lynyrd Skynyrd’s old practice shack, the Hell House. Alligators and creepy-crawlies not depicted. Incidentally, the site of the long-gone Hell House is currently being turned into a residential development. It includes a Free Bird Way and a Tuesday’s Cove. Where’s Artimus? Front row (l-r): Allen Collins, Ronnie Van Zant, Gary Rossington (mostly obscured), Leon Wilkeson, Billy Powell, the Honkettes. More importantly, Cameron chose not to hire an actor to play the band’s drummer. Skynyrd had two drummers, band co-founder Bob Burns and his successor Artimus Pyle. Both were just as important as Ronnie Van Zant & Co. The rest of the band is portrayed by actors—with varying success. Cameron even cast actors to play tour manager Ron Eckerman, longtime roadie Dean Kilpatrick, and the three backing singers. But no drummer. Very strange. And quite offensive to Artimus and Bob, and to drummers in general. 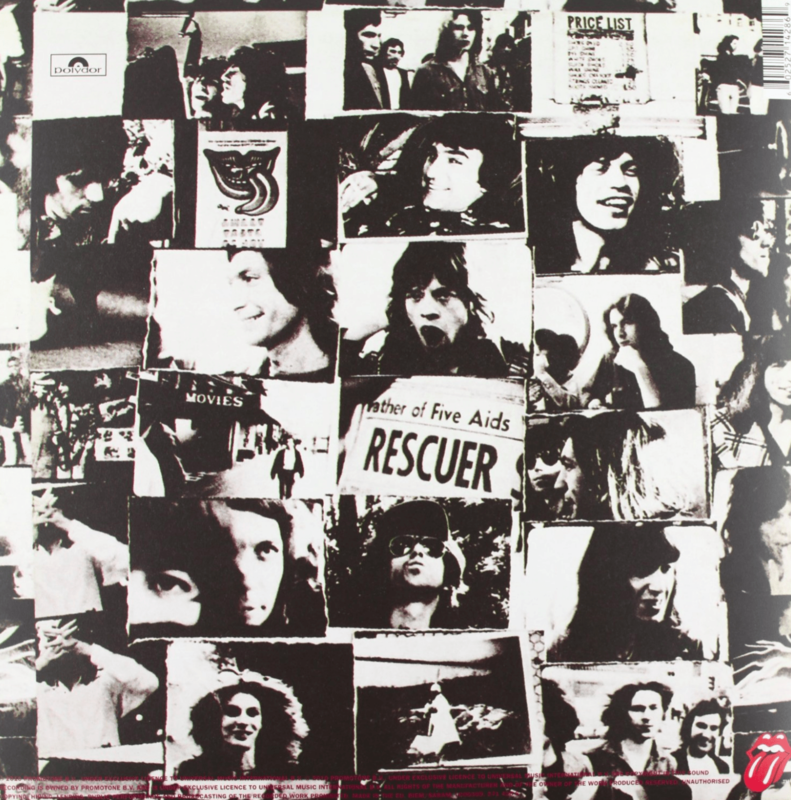 Furthermore, a fictional roadie relates how he wishes he could have rescued the guys after their plane crashed on October 20, 1977. Well, somebody did. That was Artimus Pyle. His omission from Roadies is a great injustice to the man, and to the historical record. Stay tuned for more info on Artimus’ plans to reveal the true story of Lynyrd Skynyrd, America’s greatest rock ‘n’ roll band. … for the Stones’ first visit to Seattle, on Dec. 2, 1965 … As long as you were a parent accompanying your screaming teen. It’s sad to see the two sons of Frank Zappa engaging in a bitter public battle over money and birthright. The New York Times detailed the feud in April, sparking an open letter from Ahmet to his older brother, and an angry response from Dweezil. Frank must be spinning in his unmarked grave in Westwood, although his estate planning and marital choice could have been more rigorous. David Bowie fell to Earth 69 years ago today, January 8, in this home at 40 Stansfield Road, Brixton. He lived here until he was about six, often dreaming of an exotic life filled with laughing gnomes, tin machines, and a beautiful Somali wife. As you can see, it had just been sold, in July 2015 to be precise. The agent informed me that it went for close to its asking price of 1.1 million pounds, or $1.6 million (!! ), and there was no Bowie premium. Bowie’s father, John Jones, and his first wife, Hilda, paid about 500 pounds for it after WW2. Take a look inside here. , also hatched today, but the park—alas—was named after the iconic drummer in 1986. See more Bowie/Brixton photos on my Tumblr page.